If you are reading this page, chances are you need a 24/7 emergency plumbers in Dublin 15. If you are, your in luck as you have found Dublin 15’s premier plumbing service provider. Dublin Plumbers Co-op have being providing a first-class plumbing service in Dublin 15 since 2013. This long presence in the area has enabled us to build up a good reputation for providing a quality service. As our name suggests, we are a co-op of Dublin plumbers and not just a one man band. What this means for you is a better, faster service and superior aftersales support. So why book a local plumber in Dublin 15 anywhere else? When you book a plumber in Dublin 15 with us, you can be assured of excellent professionalism from a friendly knowledgeable technician. Our plumbing and heating Co-op members take pride in their workmanship and strive to be the best they can. Below is a list of just some of the services we provide in Dublin 15. Domestic and Commercial Plumbing and Heating. Attic Cold Water Storage Tank Replacement. Leaking toilet repair and complete toilet replacement. Repair and replacement of broken or leaking sink and bathroom taps. The above is just a short list of some of the plumbing and heating services we regularly provide in Dublin 15. 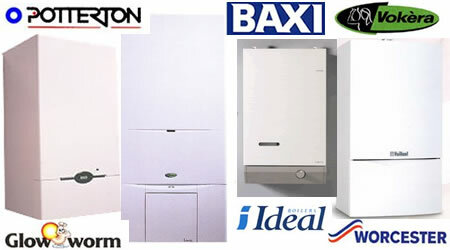 We specialise in gas boiler replacement of all makes and models of boilers. Our plumbers in Dublin 15 offer very competitive rates and excellent customer service. If you need your boiler replaced immediately, then call us now as we have a team of RGI registered gas installers who can act fast. Typically we can have you old boiler replaced within 24 to 48 hours of receiving your confirmed order. We can also advise you on what SEAI grants you may be entitled to, which will greatly reduce your costs. Our experienced RGI gas installers and SEAI registered installers will guide you through the grant process making it easier for you. The good news is, if you need to replace your boiler, you may qualify for €1,200.00 in SEAI grants and carbon credits. Here are some signs that may mean you need to replace your boiler. Boiler is 10 or more years old. Your boiler breaks down regularly. Water leaking from the bottom of your boiler. Banging or other strange noise from your boiler. Significant reduction in heat output. Can’t be repaired due to replacement parts being discontinued. For more information on our gas boiler replacement service and SEAI grants, call now 01-823 2324 or 086 357 9495. Is your gas boiler in need of repair? Perhaps it is making an unusual sound or banging noise or leaking water. Is it making a clicking sound like it is trying to ignite but it just won’t turn on? If your boiler is showing any of these signs, then you need a gas boiler repair technician immediately. Don’t delay, call us now and we will send out one of our experienced gas boiler repair technicians. Our plumbers in Dublin 15 are RGI registered gas installers and cover all areas including, Castleknock, Ongar, Tyrrelstown, Coolmine, Hartstown, Huntstown, Clonsilla and everywhere in between. We typically respond within an hour of reciving your call and our rates are very competitive and affordable. Dublin Plumbers Co-op also offers an emergency late night and weekend boiler repair service throughout Dublin 15. The following is a list of some symptoms that may mean your boiler is in need of repair. Power going to the boiler but it doesn’t turn on. Your boiler comes on but shuts itself off after a few minutes. Boiler making a banging or other unusual noise. Error code showing on your boiler. Hot water leaking from a narrow copper pipe outside. No power going to the boiler and it is completely dead. If your boiler is experiencing any of the above or any other breakdown symptom(s), call us now. 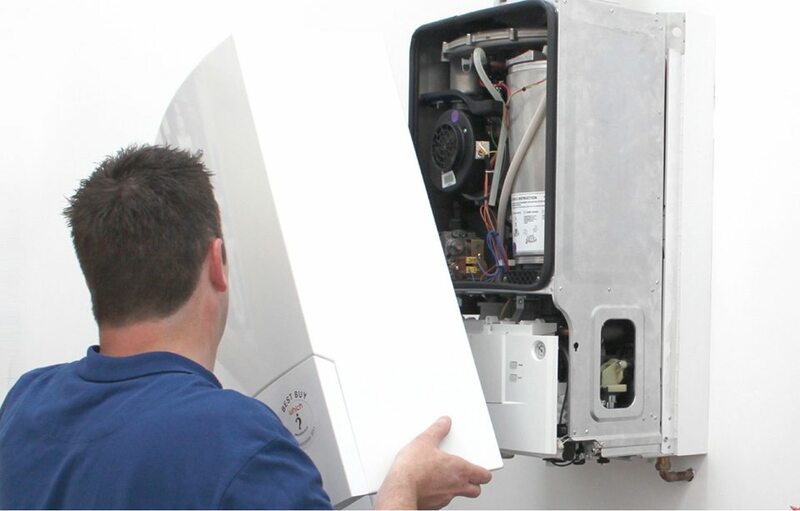 In most cases, we can have one of our gas boiler repair technicians to you within an hour. In recent months we have seen an increase in demand for our professional drain unblocking service in Dublin 15. If you find your outside drains are blocked, don’t panic, call us 24/7 and we will unblock them, fast. Our professional drain unblocking team use all the latest high pressure water jetting machinery and CCTV equipment. We provide a fast drain clearing service to both the home and commercial sectors. We also offer a drain repair service and a no-dig repair service. Drains that block up on a regular basis needs to be professionally investiagted. The cause could be due to a damaged or collapsed underground drain pipe and this is something you do not want to ignore. A damaged or collapsed drain could cause serious damage to your property leading to hefty repair bills. If you suspect you have a damaged or collapsed underground drain, call us immediately. We will ask you some questions over the phone and advise you accordingly. After speaking with you, if we suspect your drains need to be professionally inspected, we can provide you with a CCTV drain survey. This will provide you with photo and video imagery of your drains. Based on what we find, we will advise you on what action you need to take next, if any. Kitchen sink backed up or water draining slowly. Overflowing outside gully or manhole. Water draining slowing from your bath or shower. Damp signs on your property walls or floors. Build up of sewer water in your garden. Should you be experiencing any of the above blocked drains symptoms, please feel free to call us. We can offer you some free professional drain cleaning advice that will help you identify the cause of your problem. With our free advice, you may be able to fix the problem yourself. However, if you are unable to resolve the problem yourself, we can professionally unblock your drains. Our drain cleaning rates are very competitive, transparent and fair. Remember, our drain unblocking, plumbing and heating advice is free and could save you thousands. 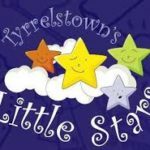 Call us now on 01-823 2324 or emergency on 086357 9495. Was let down by another plumber and called these guys at the last minute. I was having a new kitchen installed and needed a plumber ASAP to do some plumbing and these guys stepped in and done a great job. Thumbs up to you boys. Highly recommended! These guys saved me a lot of money because they were able to repair my shower pump without replacing. The first plumber I called out (not these guys) told me that my pump was beyond repair and needed to be replaced. I don’t know why but I just didn’t trust this plumber so I decided to get a second opinion. I found these guys online so I called them out. They sent out a pump expect who I was told this was his area of expertise and he also carried spare parts. The guy arrived and within ten minutes he confirmed to me that the problem was with a thing called a pcb. He was able to replace it and the pump worked perfect. This simple fix saved me almost 900 euros because I didn’t go with the other plumber who said the pump could not be repaired and had to be replaced and quoted me over a 1000 euros to replace. Thank you Dublin plumbers co op for your honesty and for a great service. I will 100% use you again and I have already recommended you to my brother. I would give more than 5 stars if I could. Very, very highly recommended! Plumber, called Dave installed a replacement toilet fixture(pot) in good time- polite, efficient manner. I asked him to consider a second job – repair of a badly installed sink in the upstairs bathroom – one tap not working and the other dripping. He returned the next day to fix same – very awkward job as the taps were hard to get at due to the badly installed sink. Dave sorted both taps without having to incur the extra cost of new taps.He finished within the hour and asked if I would like anything else checked. I asked for advice on a few other issues and he gave me some very useful suggestions. He asked me then if there was anything else which I would like him to check. A pipe under the sink looked a bit dodgy so he checked it, tightened it up and applied some adhesive. The cost of each job was the respective call out charge of €90 in each case. I am on a very tight budget at the moment and was delighted that he was able to repair the items without the added costs of parts. This company has to be the best. I woke up during the night and discovered the carpet in my bedroom was soaking wet and saw water leaking out from the side of the radiator. I rang three different plumbing companies and these were the only ones to answer their phone. It was just after 3am when I called but they assured me they would have a plumber to me under the hour. Ten minutes later I got a call from a plumber, Alan, saying he was on his way and about 25 minutes later he was at my door. The radiator valve had to be replaced which he did. I am so, so grateful to dublin plumbers co op for answering my emergency. I will use you again for any plumbing work I need. I would recommend anyone to use this company because they were so professional and most importantly to me, they were there when I called very late at night. PS. My apologies for being a little hysterical on the phone, I just panicked when I saw all that water leaking from the radiator and thought the worse. My heating stopped working and I called these guys out. Luckily for me they had a plumber in the D15 area and he was at my door in less than 15 minutes. It was just a pressure issue that was resolved quickly and my heating has worked ever since. Thank you for a very efficient service and I highly recommend them. Rapid on-site inspection followed by provision of comprehensive written quotation and efficient installation of new gas boiler and related adjustment of central heating system. Excellent service from Patrick, Ian and Bob. I had an issue with a major leak at my house late on a Sunday evening, upon phoning I had a plumber with me very promptly who identified the issue and eliminated the leak there and then. Very efficient service and the cost was very reasonable. 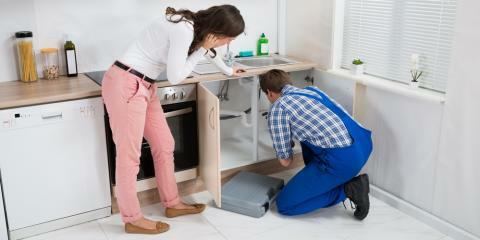 Its great to know there is a reliable emergency plumbing service who work late at night over the weekend. Thank you guys. There was a problem with sending invoice by e-mail, but it was delivered on paper swiftly, so problem was tackled in nice manner. Great Service and very swift response to our call. Wonderful service and very much appreciated. Highly recommended. I booked my annual gas boiler service with Dublin plumbers co op and it was great to be able to do it all online. I booked it on Tuesday and my boiler was serviced the next day. It was less than €74.00 and the plumber was very thorough and spent almost 45 minutes servicing my boiler. He also fixed a radiator that wasn’t working and he didn’t charge anything extra. Wonderful service and very much appreciated. Highly recommended. I am recommending these guys because late on Saturday evening around 10pm I noticed water dripping through the ceiling in my hall. I discovered my bedroom radiator was leaking. These were the first company I rang and they said they had a local plumber available and he called out to me in less than 15 minutes. The plumber who called was very friendly and fixed the leak within minutes. Although it only took him a couple of minutes to fix the radiator, I was more than pleased because I was very worried my ceiling would fall through. I was very pleased with the rate charged but I was most impressed with how quickly they had a plumber at my door. Definitely a 10 out of 10 company and I will be using you again, but hopefully not too soon. I had a problem with a leaking pipe. The plumber discovered where the pipe was leaking from and fixed it. Very good customer service from start to finish. Highly recommend and great professional service all round. My boiler was making a terrible noise and leaking water. I called these guys late at night and they were able to send a plumber to my house in less than 40 minutes. They repaired the boiler and had my heating working in less than half an hour. I found their service, their attitude and their price to be more than satisfactory. Definitely will use again and I would recommend them to anyone. Very helpful, fast and friendly. The plumber even gave me some general advice and tricks on how to fix basic plumbing issues. I needed some small plumbing issues resolved and this service was excellent. Plumber (Ian) called out to give a quote and once I gave the go-ahead the appointment was arranged quickly. I’m very happy with the results and the plumber even gave me extra free advice on another issue I was having with my boiler. I would definitely recommend this service to others. The reaction time of this service is impressive. My first phone call was handled in a friendly professional way. The plumber was also very friendly and professional. I will use these again next time I need a plumber. I didn’t have an emergency but instead had a few small plumbing issues that needed to be addressed. Plumber did a great job, arrived on time, and when another sink leaked he came back to fix it, no hassle. Great service. Dear Dublin Plumbers Co op, thank you for the excellent service you provided to us recently. We were so glad that you were available when we called during the night. We needed an emergency plumber when our hot water tank developed a very bad leak just after 2am. We rang their emergency telephone number and we were very surprised that someone actually answered in person. They had a plumber out to us within 50 minute. A fitting at the top of the tank was leaking and they repaired it very quickly. A great service and we are so glad they responded so quickly. Thank you Dublin plumber co op. Used this plumbing company to install an outside tap. Easy job I know but they were very professional and friendly. I was happy with their service and their price. I would have no problems recommending them to anyone. Great service and very fast call out. Thanks guys for being available on Christmas day to deal with my emergency. My radiator was leaking and I found these guys on the net. They were out to my home within 30 minutes and fixed the radiator. Great service and very fast call out. Very good, polite and very reasonable. I will be using them again. Had my gas boiler replaced recently by these guys as my old boiler was just that, old and didn’t work very well. Glad to say the new boiler is 100% and working perfect. Best decision I made. I found Dublin plumber co-op to be very good, polite and very reasonable. I will be using them again.